The two pictures show both types of blood photographed with a 40x achromatic objective and a 2.5x photo projection ocular. Red blood cells of a frog at 400x. 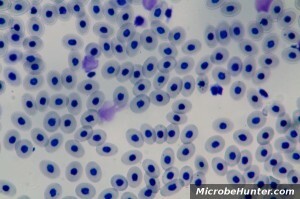 The darkly stained nuclei are visible. 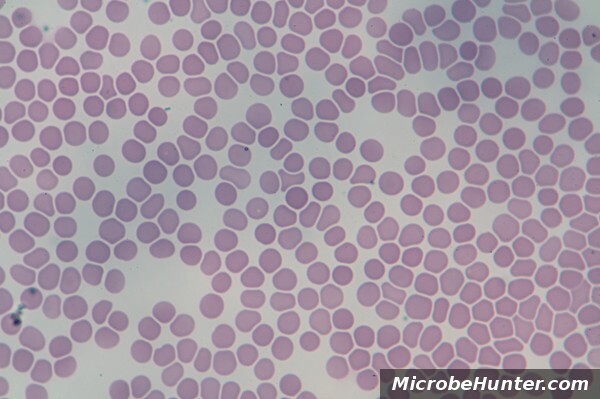 Red blood cells of a human at 400x. Nuclei are not present. Search for “hand microtome” on amazon.com. There are several manufacturers of similar quality.